A running theme at the inflight workshop at this year’s TFWA World Exhibition & Conference was the necessity to innovate. Suffering a double digit decline, the value of the sector fell to $2.64 billion in 2017, which is less than in 2007, nearly a decade ago. But there are plenty of reasons for confidence. Ilze Arklina, inflight service manager of airBaltic detailed a number of highly original marketing programmes from her company, which were having a positive effect on both the development of the airline and inflight sales. 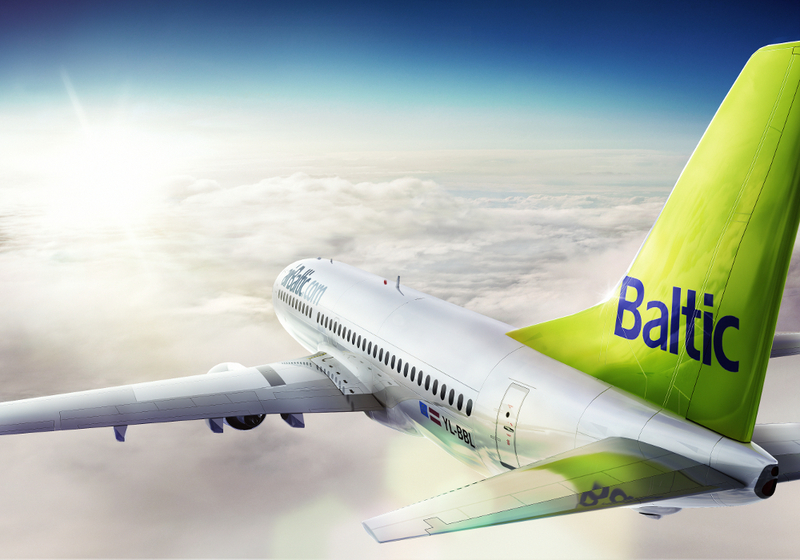 The airBaltic brand has been extended to encompass other transport services, including distinctively green and white liveried BalticTaxis, BalticBikes and BalticBuses. type of passenger they would like to sit next to, while virtual trays allow travellers to drag and drop the items they prefer to see exactly how their food will look. AirBaltic’s inflight retail offer is similarly innovative. It was the first airline to sell a car on board, while a range of shoes that featured in an ad campaign for the airline was made into actual shoes available to buy on a flight. A further example is an airBaltic bag, created with Samsonite, includes a year’s free luggage allowance on airBaltic flights. The airline also partners with local brands, including a Baltic mineral water, and a hand cream made with local products. Arklina stated that savings and exclusivity were key drivers of sales. Motivating staff was also an important factor and her 250 cabin crew were incentivised with monthly sales bonuses. The introduction of the airline’s new Bombardier CS300 aircraft would, she said, not only improve comfort of the flight, but new overhead screens would provide an additional platform for inflight sales promotions, alongside safety information. John Moriarty, MD of uqonic, the new branding of Gate Retail Onboard, focussed on the need to make flying and buying a real shopping experience. He shared a number of observations about the much-courted Generation C. This important demographic is not an age group, he stated, but a lifestyle, united by common interests and behaviours. Generation C is a connected society that relies on the opinion of friends and family, and for whom decision-making is a team sport. Moving on to detail his company’s new retail model, Moriarty said that the initiative is founded on four pillars. First, as we live in a brand driven world, is the brand. Business insights, based on understanding an predicting our travellers are another essential, as is hospitality that is at a five star level, delivered by a skilled and knowledgeable sales force. Finally commercial technology needs to be fully and effectively utilised. Airlines can’t offer the same ranges as the airport, he continued, and they need to innovate constantly. Across the channel, we need to challenge the norm, he claimed. The business has been doing the norm for 20 years and it will stay the same unless it is challenged. It is better to try and fail than not to explore the new. Ending the workshop, when asked for the one aspect that gave her confidence for the future, Arklina stated that she found cause for optimism in the potential of the internet. Moriarty also saw cause for hope in the rise of the Millennial traveller. This new generation are exciting, interesting and will, by default drive the future shape of the business.